Liberty Mutual subsidiary Safeco has paid a $95,000 fine after stiffing more than 35 auto collision victims, the Montana Commissioner of Securities and Insurance office announced May 20. 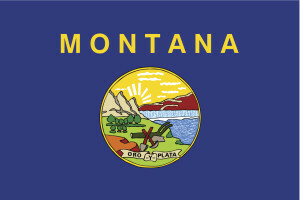 “We expect every insurance company, no matter how large, to follow Montana law and we’re pleased we could correct this situation for affected Montanans,” Commissioner Monica Lindeen said in a statement. Safeco had used the concept of “comparative negligence” to support cutting the amount paid to both its customers and those struck by policyholders, arguing they were partially to blame for the crashes too. The practice is perfectly legal, “but in many of Safeco’s cases, the company was making the assertion where the facts of the actual accident did not support it,” according to to the agency, which investigated 16 months of claims. The insurer also in some instances failed to tell the customers and agency it was applying comparative negligence to the claim, the commissioner’s office said. Safeco has repaid more than $15,000 to the customers it’d allegedly shortchanged, according to the agency. “The pattern involved mostly low-dollar cases which were unlikely to be litigated by a private attorney,” it said in a news release.